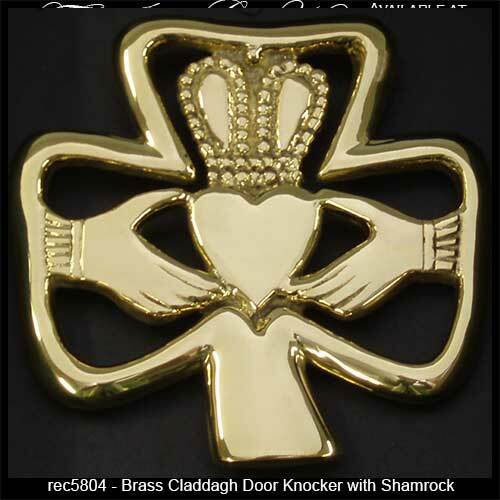 This Claddagh door knocker also features a shamrock and measures 4 3/4" x 4 3/4". The hinged Claddagh and shamrock design serves as the strike that is attached to the brass plate. This Irish door knocker features solid brass construction and is gift boxed with the Claddagh legend along with a shamrock history card, complements of The Irish Gift House.